A big “Hello” to everyone inquisitive enough to visit my home page; it’s great to meet you. I hope you’ll stay long enough to visit my other pages on Short Stories, Art Work, Poetry, My Blog, and of course Tissue of Lies my first novel. I intend to make this blog-site a mixture of articles, short stories, my art, and poetry. The articles will vary and will encompass life experiences, news items and interesting pieces I’ve re-blogged from other people. You’ll see from my posts (the links are above) that I have a wide interest range, so I hope you’ll join with me and follow me into my blogging adventure. Together, it could be a an enjoyable ride. I’m not sure if I should plug my book here, but what the heck! Please be aware that all stories, artwork and poetry are my own exclusive work and are subject to copyright laws. Paperback and eBook available from Amazon. 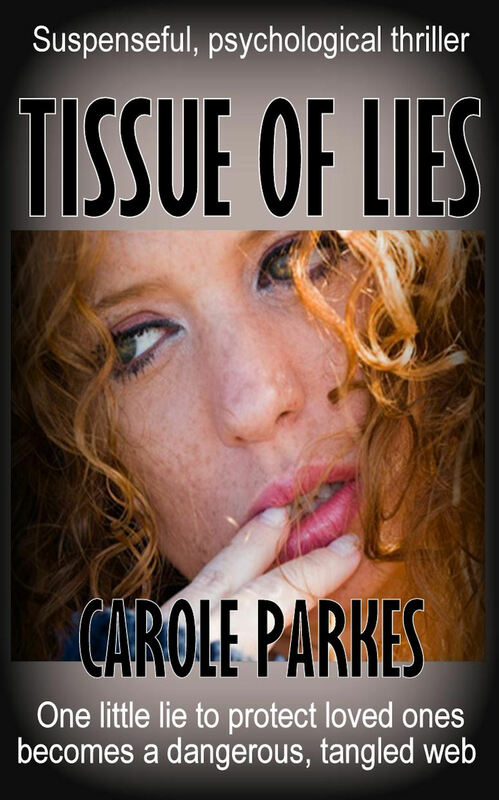 I saw “Tissue of Lies: Suspenseful, psychological thriller” at Free Discounted Books and I was wondering if it’s available in libraries? If not, did you know that you could make it available via LibraryBub? We connect authors with 10,000 libraries and we’re currently running a giveaway where you can win a free feature in our weekly newsletter. Have a great day of writing and promoting! Thank you for that lovely comment. I am humbled by it. Thank you for liking my site. You are doing a great job for a worthy cause. 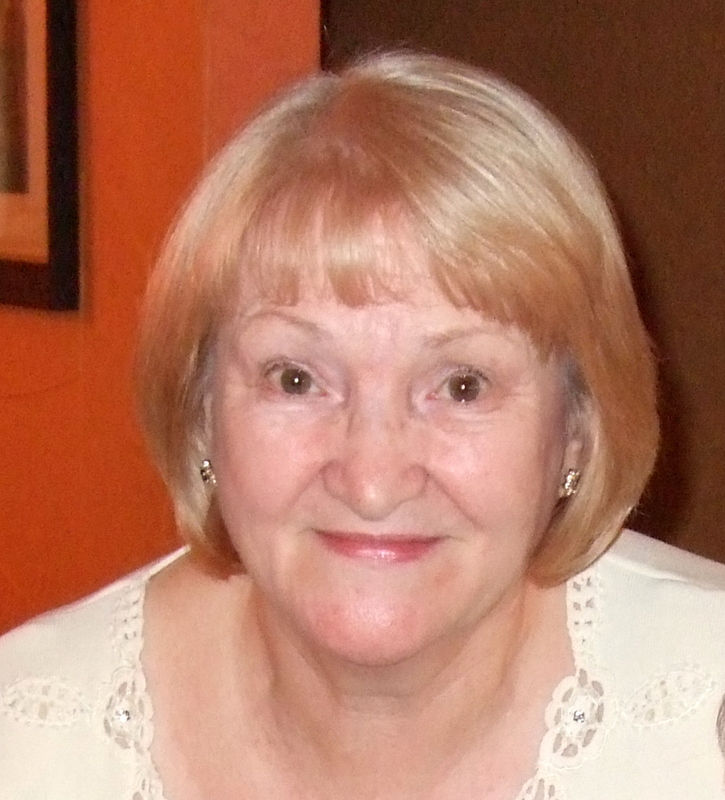 Hi Carol, thanks for the ‘follow’, it is very much appreciated. You have a wonderful site and I am definitely going to explore. Talk to you soon! You’re welcome! Thank YOU for taking the time to comment; it’s always appreciated. I thoroughly enjoyed your poem on worrying. ooo… and thanks for the likes! Especially on older post (‘Achilles Blog 50 – Pretending to be Kate Moss’)… as a blogger you feel that you are only as good as your last post – so I’m really very grateful you chose to have a good look! You’re welcome! I did enjoy my stroll around your blogs. I enjoyed what I saw on your blog so I’ll definitely be back for another look. Thank you so much for the follow! I will definitely check out your blog further as we seem to have some shared interests. Hi Carole. I really enjoy your blog, and i would like to nominate you for the Versatile Blogger award. http://edwinasepisodes.com/2015/01/17/episode-110-the-versatile-blogger-award/ I appreciate you have probably been nominated before so you are under no obligation to accept. Thank you for nominating me Edwina. I’d love to accept this award and I’m thrilled you thought of me. It is my pleasure. Your blog is so versatile and you are a very talented and – funny woman. It’s lovely to see the variety of blogsites here. You are such a talented person and your love of beautiful things shines through on all your pages. I really enjoyed your lovely photographs, and reading your blogs and short stories. I will definitely make time to obtain and read your book. Thank you for dropping by on my blog. Thank you for your lovely comments Hester. I would love you to read my book. Hello! You have a great blog! More interesting information! I enjoy it! Marry Christmas! 😉 And have a great weekend! I’m pleased you enjoyed your look around my website. I’m now folllowing you. congratulations and all the best! All the best to you too! Enjoyed browsing your site. I took a break from my own writing to see where it would lead. Didn’t have a chance to read any of your short stories as of yet but will do in the near future. Thanks for the follow and the opportunity to connect with you. I’m pleased you found the time to have a look around Richard. I look forward to your posts. Hi Carole! Congratulations on self publishing your work! It’s a tremendous accomplishment! As a newcomer to your page, I look forward to reading your blog posts! Welcome! I value every reader of my blog. I hope you enjoy it. Thanks for following ahouseofbooks! I’m returning the favour and look forward to reading more of your posts. Thank you for bringing ‘World Book Night; to my attention. I wasn’t aware of it before your post. It’s a lovely idea and it’s definitely made some impact here. thanks for the like of two world Shaman…..you are such an interesting butterfly! Thank you! I also found your blog interesting and will definitely visit again. Thank you for that lovely comment. I also wish you great success with your writing. Thanks for following. Love your blog! Thank you for your lovely comment Melissa. I am looking into publishing ‘Tissue of Lies’ in paperback. Did you know you can get a free reading app from my book page, or anywhere on Amazon, to use on your laptop, tablet or phone? You don’t need a kindle anymore. I didn’t know this. I am not too technically savvy. ;) I’ll look into it. Thank you! Just go to any Kindle book on Amazon and you can download it to any of those devices I mentioned. I use my Galaxy Note now and download my Kindle books straight onto it. It’s actually better than on most Kindles because you see the book in colour instead of black and white. Thanks for visiting my site. Love your Gravatar info and all. Inspiration you are. Thanks Jennifer, that means a lot to me. You have some beautiful artwork here. I enjoyed my visit! My fiction book, like yours, is about someone discovering they don’t belong to the family they were brought up in. Hi Carole, thanks for following me, it is such an honor. You are my first follower to my start up blog and it makes me write more. That’s fantastic Carla. Every reader is valued beyond measure. I do appreciate you buying it and hope it gives you pleasure. I’m on amandacmoran@gmail.com if you’re interested. Thanks a lot, and happy blogging! I’d be happy to look at your book. What age group is it aimed at? Fabulous thank you. It’s aimed at age 9 and up. Apparently the way I have to do it is buy you a gift certificate that you can redeem against a kindle version. Can you email me your address (mine is amandacmoran@gmail.com) and I’ll send you the gift certificate. I’m looking forward to reading ‘Tissue of Lies’, it sounds like a great premise. Hey, thank you for following me! Glad to come across another awesome blog! I always wanted to write stories for children! Following ya! Who is competent when they first try something new? That’s the fun of it. Expect to make lots of mistakes but don’t worry about it. Each mistake will be another lesson learned. Just try it for a bit of fun; you might be surprised. Thanks for following me. Every follower is a gift. I went on Amazon and bought your book, and I am looking forward to reading it. It’s always nice to read something from a fellow author who is “over the pond”. By the way, one of my favorite authors is Ken Follett. Lastly, my husband was born and raised in London. Thank you so much for your comment, and for buying my book. You are a beacon of hope for those families in a very difficult position. Keep up the good work. Thank you so much for the follow..it feels nice to have an actual author read your blog…and have someone to provide you guidance…loved your blog…!! You’re welcome! I suppose I am an author in the fact that I’ve published a book, but I still regard myself as a trainee and still learning the ropes. I’m happy to share any knowledge I gain in this writing journey, just as others have helped me by sharing their experiences. Blogging is a great way to gain friends and lots of writing advice. Thanks for the follow! I’m always excited to hear about other writers’ projects. Thanks for the follow…I look forward to exploring all you have to offer!!! I hope you enjoy your tour through my pages. Thanks for following me, Carole! I’ve just started this blog thing and already have someone I don’t know following me! I’m taking it as a good sign! Try followng others you don’t know and if they follow back you’ll have a band of readers. When you first post you’ll begin to realise no-one is looking at them. It’s only by following others, liking, and commenting on various posts that you’ll build up your readership. Good luck! Thanks for the hint! I’ll have to get on that! You’re welcome; I liked your interesting mix of posts. Thank you for your comment. As for me breaking the rules, that’s the reason I’m trying to learn. I break the rules all the time through my ignorance. Yes, even if I knew every tiny rule there was, I’d still break them now and again. I’m a bit of rebel at heart, and concentrating too much on the correctness of my writing would certainly impinge on my creativeness. I hope to strike a balance where I get the basics of grammar right, but can still tell a good story. By the way, it’s our fiftieth anniversary next year. You’re doing a great job with those children, I wish you all well. I will look up your fiction blog now. I couldn’t find your fiction blog. Thank you for stopping by my blog – looking forward to reading your short stories! My trot through your blog was a pleasure; I will return later when I have more time. Thank you, and I hope you enjoy. You are so talented! I have enjoyed looking at your blog. I’m in love with the crazy patchwork quilt. Thank you for your lovely comment. That quilt is one way to use up all your fabric remnants. I must finish it off one day. Thank you for commenting here. I might be interested in working with you later. I went to your site again but didn’t see anything about your copy-editor role. Look under services. I look forward to hearing back from you. I charge $1.00 per page. Hope you won’t be disappointed with my blog where I’ll be posting much less frequently now, due to the new site. Thank you for taking the time to comment. I’m sure I’ll enjoy your blog, whenever you post.